O+ 360 Alpha Plus with Instant Beauty Fix streamlines your selfie experience with a midrange hardware and an affordable asking price. O+ 360 Alpha Plus is shaping up to be the most interesting release of the smartphone company this month. Knowing the fact that the Philippines is the selfie capital of the world, O+ streamlines its purported users’ selfie experience with the latest Instant Beauty Fix software which comes exclusively with the said handset out of the box. Basically the O+ 360 Alpha Plus is marketed for the selfie-loving crowd. This software offers an instant treatment of filters, camera tools and effects for all the shots taken from its 5-megapixel front facing camera. Likewise, the selfie fix innovation will also be your “digital makeup companion.” And since it’s under the 360 series, it also equipped with a touch sensor on its rear panel for scrolling and taking pictures. For the specs-conscious, the O+ 360 Alpha Plus settles in the lower midrange market with its affordable Php 4,995 price. 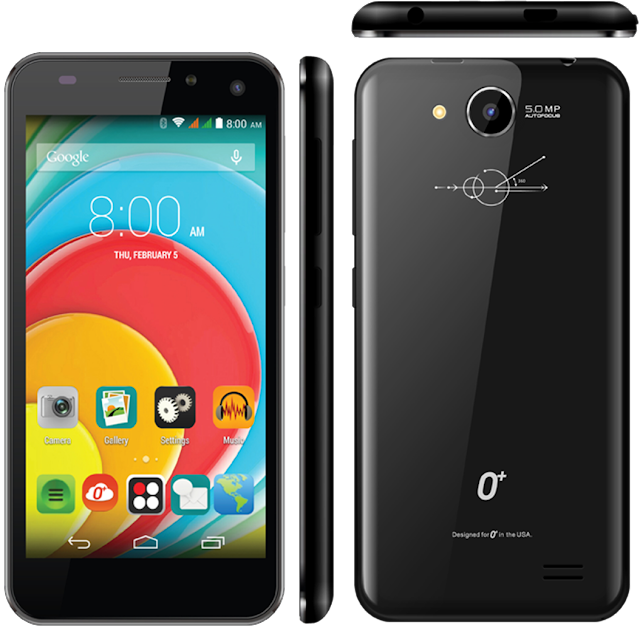 It features a quad-core processor clocked at1.3 GHz speed. The SoC is coupled with 1GB of RAM for faster app launching, better camera-shutting capability and smooth multitasking performance. As far as the camera goes, the O+ 360 Alpha Plus comes with 5-megapixel shooter with autofocus functionality in both front and back sensors. The front-facing camera tries to up the ante with its Selfie Fix software and LED flash. This selfie-loving handset packs a 4.5-inch IPS display to give your snaps an ample screen real estate. The O+ 360 Alpha Plus has a 3G connectivity so those selfies could be uploaded in your favorite social media sites instantly; however, if you decide to upload those snaps later, you can still store it in the 8GB on-board expandable memory. Likewise, the 1500 mAh battery will support its hardware; and Android 4.4 KitKat will run the whole show at the same time. Yes you heard it right. 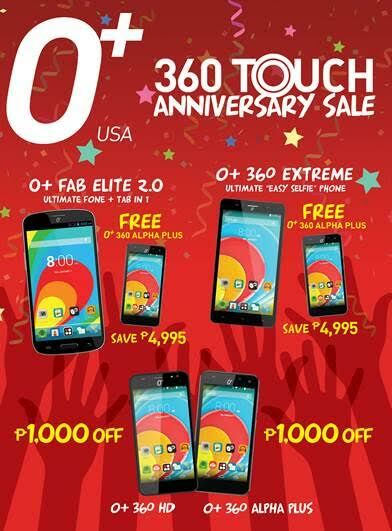 O+ USA will slash Php 1000 off of your O+ 360 Alpha Plus handset until August 31. Basically you can get the handset in a jaw dropping price of Php 3,995. Likewise, you can also get Php 1000 off from O+ 360 HD price tag. Where to buy O+ 360 Alpha Plus in the Philippines and in Cebu City? The handset is now available in any O+ Concept Store nationwide. In Cebu City, you can check the handset over the O+ Concept Store in SM City Cebu Cyberzone.